Cultivating your mind is more important than anything else you can do to prepare for personal and professional success. Why? Because the modern world is unpredictable. The whirlwind of technology changes our lives so quickly that there’s no way to anticipate how the future will look. Your industry, your job, and even your day-to-day life may be very different 10, 20, or 30 years from now. The only way to get ready for what comes next is to create the mental infrastructure to thrive in any environment. In past times, people could “finish” their education and move on to professional life. Today, learning is an essential part of just about any job. Imagine if a computer repairman, doctor, teacher, or librarian decided he was done learning just a decade ago. The results would be disastrous. My article The 3 Types of Learning & Why You Won’t Want to Ignore Any of Them discusses the most important types of knowledge / ability to acquire. Professor Howard Gardner’s book Five Minds for the Future focuses on the most important ways to cultivate your mind for future success. Below you’ll find a summary of his five “minds” as well as my own thoughts on how independent learners can develop these traits. People need to know how to do at least one thing really well. The ability to focus and develop a deep knowledge will help anyone stand out from the generalists. Whether you’re an athlete, a professor, or a musician, learning how to embrace your subject on an expert level is the only way to excel. Development Idea: Research shows that becoming an expert takes around ten years or 10,000 hours of focused work. If you know what you want excel at, set aside daily time to develop your abilities. If not, take a few moments to contemplate your passions. The synthesizing mind takes information from disparate sources, understands and evaluates that information objectively, and puts it together in ways that make sense to the synthesizer and also to other persons. They call this the information age for a reason. With internet access and a library card, a person can look up just about anything. The problem is that many people don’t know how to process the massive amount of information they encounter. Learning how to synthesize this knowledge (i.e. combine it in a way that makes sense) can help you find meaning and see the big picture in your profession and life in general. Development Idea: Take note of new-to-you ideas, theories, and events whenever you’re reading or having a discussion. Then, watch to see where you hear about them a second time. I’m often surprised when I read about something for the first time and then see references to related topics three or four times during the following week. Combining this additional information helps me have a deeper understanding of the whole. Unfortunately, schools often have the effect of squelching creativity in favor of route learning and conformity. But, the creative mind is an extremely valuable asset both in one’s professional and personal life. If you have a creative mind, you can think of ways to change your own circumstance for the better and contribute cures, ideas, and products to global society. People who can create have the ability to change the world. Development Idea: Watch just about any young child playing and you’ll see that creativity comes naturally. If you haven’t developed this trait as an adult, the best way to get started is by experimenting. Try new things, play around. Don’t be afraid to look silly or fail. Now that technology has made worldwide travel and communication possible, the ability to understand and respect other people is essential. Development Idea: The more people I know, the easier it is for me to value and respect ideas that are different from mine. Visiting other countries and communities and meeting new faces can help you become more welcoming of differences. Thinking ethically is the unselfish trait. You benefit from living in a world where people do right by each other. Development Idea: Take a look at the article Moral Reasoning for links to some compelling online ethics videos by a well-known professor Michael Sandel. Gardner does a great job of identifying five “minds” that will help people in their future professions. But, I’m left feeling that there are additional ways of thinking that can help us excel in other areas of our lives. What “minds” or thinking abilities have you found beneficial? 10 Comments on "5 Minds for the Future: Cultivating Thinking Skills"
The 5 minds mentioned by Howard Gardner hit right in the spot as we dive into the 21st Century, but I’m surprised he didn’t include three CRITICAL minds. None of the 5 minds mentioned above can exist without the mind itself. How you take care of your mind physically and mentally is a must. The right amount of exercise, nutrition and the quality of your thoughts and knowledge are essential. How well we manage our emotions will dictate how efficiently we deliver on the 5 minds of the future. This should be teach at school, especially in the early years. As technology and the Internet reach deeper, our society is becoming more and more connected. If we want to see the turn of the next 100 years we must find better ways to develop our social minds. What do you think Jamie? Does cultivating those 3 additional minds have a direct impact to primarily improve our lives and our society? Or they should be left as a secondary skill? P.S. I’m wondering…When is your first book coming? I mean you’re a writing machine and as knowledgeable as any expert out there. When Jamie? I’ve just discovered that I may be of the synthesizing type. Thanks for the article I learned something new today. Anon, the “beginner’s mind” is a very interesting concept. Thanks for the link, I’m putting some thought into that idea. Peter, I definitely think that your three additional minds would be good contributions. I’ve noticed a lot of talk about “emotional intelligence” lately and the need for people to recognize and control their emotions. Having a healthy mind also seems like a good fit. I wonder if “the relationship mind” could be combined with Gardner’s “respectful mind.” The relationship mind seems like more of an umbrella concept, so I think that maybe respect could be a component of it rather than an additional trait. Thanks for the compliments – I’d certainly love to write a book, but I’m still trying to identify a focused topic for it! Prometeo, I certainly think it’s useful to recognize your strengths. Unlike Garder’s previous work about types of intelligence (where he notes that people are intelligent in different ways), he believes that people must develop all of the 5 minds in order to have the best shot at success in the modern world. Exploration driven by curiosity is a profoundly useful way of being. It requires us to transcend our Disciplined Mind. It is a de-focusing behavior. Disciplined Minds are hill-climbers, whereas Wanderers are valley-crossers. A key element of the Wandering Mind is the role of distractions. Wandering minds welcome distractions that would annoy other minds. In concert with the Creative and Synthesizing Minds, the wandering leads to new fields of rich ideas, which, once discovered, invite the other minds to come make something useful with it. Without a positive way to interpret our experience (and abundant amounts of data! ), we would find life quite empty. The human spirit yearns for making sense of it’s reality. This drive is so strong that we have always had stories and myths that we have lived by and lived through. We are naturally drawn to anything that gives us a strong sense of purpose for our life. The individual who can help us wade through an ocean of meaningless data, and find our purpose will be one who is held in our highest esteem. I suppose this is roughly a combination of the Synthesizing Mind, the Creative Mind, and the Ethical Mind , but all the same I feel it deserves it’s own category. As a way to develop this: Look for the underlying patterns in situations and events. No event is in isolation, as everything is interconnected in this vast matrix that we call reality. Connect with stillness, as it is through this deep sense of being that we find our clearest perceptions. Let Gardner is right in his approach, but the question arises how the schools will manage to produce creative minds. Now, as the idea “Five Minds for the Future” has been introduced but there is no such classification for the various functions of four lobes. to nothing or still there is its own scope. It has no doubt that all Schools clearly do believe in developing respectful minds, even though they cannot be measured or included in league table performances but how easy is it to develop the “respectful mind” if children rarely meet peers from other religions, ethnic groups, or social classes? not be better to define mind first. The last point,by now, is that how can we classify various thinkings such as Critical thinking, divergent thinking, convergent thinking, etc. The concept of “No Mind” is the ultimate aim of the discipline of all the five minds. True being lies in the silence between two thoughts. If the mind is made up of the flow of thoughts that go unceasingly in our usual state, then the state of No Mind exists only in deep sleep or in the space where one thought ends and the next begins. That space is where one could experience one’s being. In deep sleep that experience is unconscious. 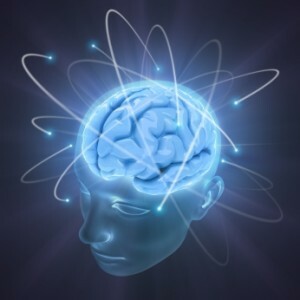 In the conscious state, the five minds described by Gardner, could be tools towards arriving at the state of No Mind and an experience of Consciousness. This is the thinking in Zen, the Power of Now, and in Upanishadic thought. ‘The Humbled Mind’ which recognizes that mastery and achievement of the five mind sets does not come easily overnight and when down gets back up and continues on along the path.